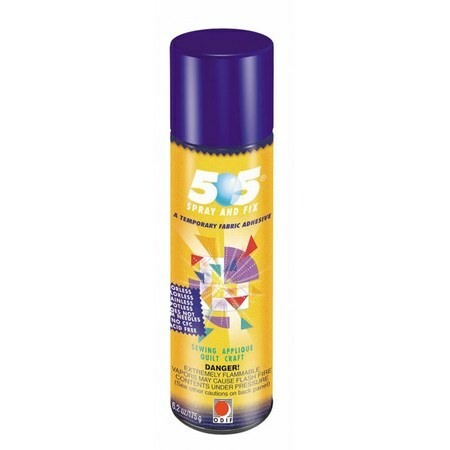 Temporary 505 Spray Adhesive can be used for quilt basting, applique, and machine embroidery without a hoop. 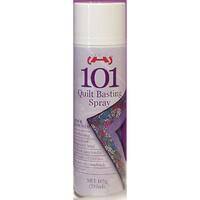 This high tack adhesive is odorless and colorless, and not gum up the needle. 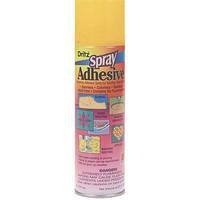 The adhesive disappears leaving no residue. 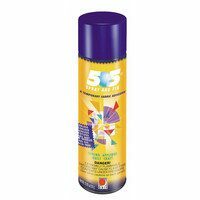 Each can of Odif's 505 Spray Adhesive has 6.2 oz.